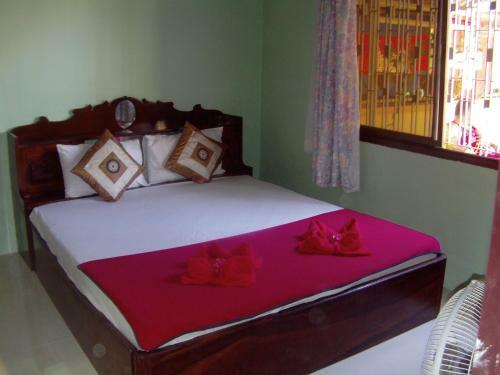 Swissgarden Café & Guesthouse hotel Kampong Saom | Low rates. No booking fees. The Swiss Garden is located on the popular Occheuteal beach, just 5 minutes drive from the nearest restaurants and entertainment venues. It has free Wi-Fi, a café and air-conditioned rooms overlooking the tropical garden. Book a room at Swissgarden Café & Guesthouse hotel Kampong Saom online and save money. Best price guaranteed! Swissgarden Café & Guesthouse hotel Kampong Saom: low rates, no booking fees. The hotel is located at Mittahapeap 2 Sangkat 4, Ochheuteal Beach and Serendipity Beach in Kâmpóng Saôm, Cambodia – see Kâmpóng Saôm map ». Hotels in the neighbourhood of the Swissgarden Café & Guesthouse hotel Kampong Saom are sorted by the distance from this hotel. In the following list, large airports nearest to Swissgarden Café & Guesthouse hotel Kampong Saom are sorted by the approximate distance from the hotel to the airport. Airports near to Swissgarden Café & Guesthouse hotel Kampong Saom, not listed above. In the following list, car rental offices nearest to Swissgarden Café & Guesthouse hotel Kampong Saom are sorted by the approximate distance from the hotel. The following list shows places and landmarks nearest to Swissgarden Café & Guesthouse hotel Kampong Saom sorted by the distance from the hotel to the centre of the listed place.